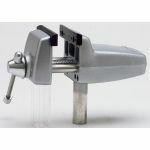 Our best selling general purpose Vise Head. Perfect for hobbies, electronics and small home repairs! Select the 300, 305 or 380 Base and create your own versatile vise.